We have missed homeschooling classes for some days now because of the Flood Scare. We had to send him to my sister and brother in law’s place early yesterday to find refuge. Unlike last 2009’s Ondoy, we hope for him not to have to wade through flood waters. It is a blessing that we have loved ones living on higher ground that is just within our village. 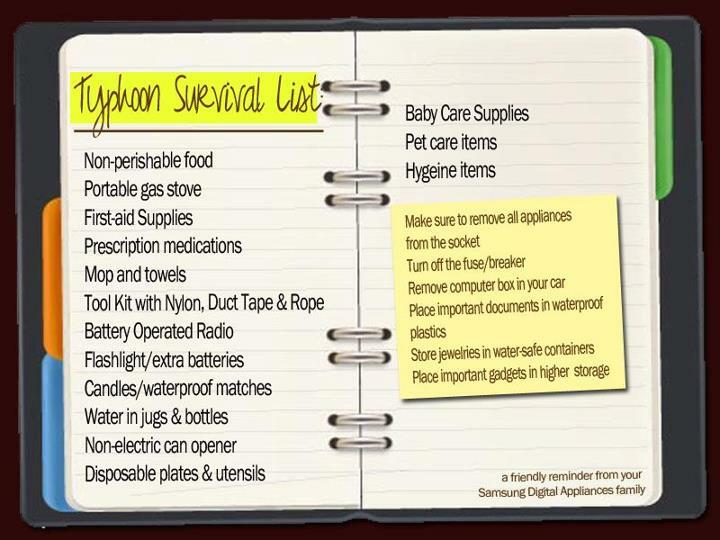 Here is a helpful list for those of us who need to prepare for “floody situations” such as this – Typhoon Survival List shared on Facebook.